This was a shoot like none other. Black Diamond wanted to start producing online digital catalogues for their line of climbing products. However, since this was a completely new idea the catalogue would have to evolve as we went along. I had 6 months in which to shoot as many classic hard routes in the European Alps as possible, and to come back with not only stunning imagery, but from climbs that have a true story and history behind them. From the images and video we would be able to put together a digital catalogue that not only showcased Black Diamond products but also shared the rich history of climbing in the valley that is arguably the birthplace of alpinism. Where it all began: the European Alps. 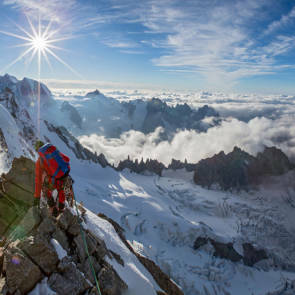 More than 500 years ago, technical climbing was born amongst the peaks, glaciers, cliffs and couloirs of the European Alps, hence the name “alpinism.” And no town has embodied the craft of alpinism more than Chamonix, France. 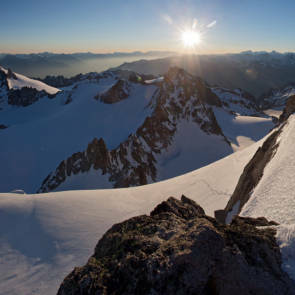 It’s a stunning arena: countless aiguilles, walls, summits and climbs, towering far above town, serving as a proving ground for generations upon generations of alpinists. And, in that same vein, few companies have embodied the craft of alpinism like Black Diamond Equipment. What 50 years ago was our small assortment of hand-forged carabiners, wood-shafted piolets and 12-point crampons, has developed into a complete collection of award-winning, state-of-the-art tools essential to modern alpinism. 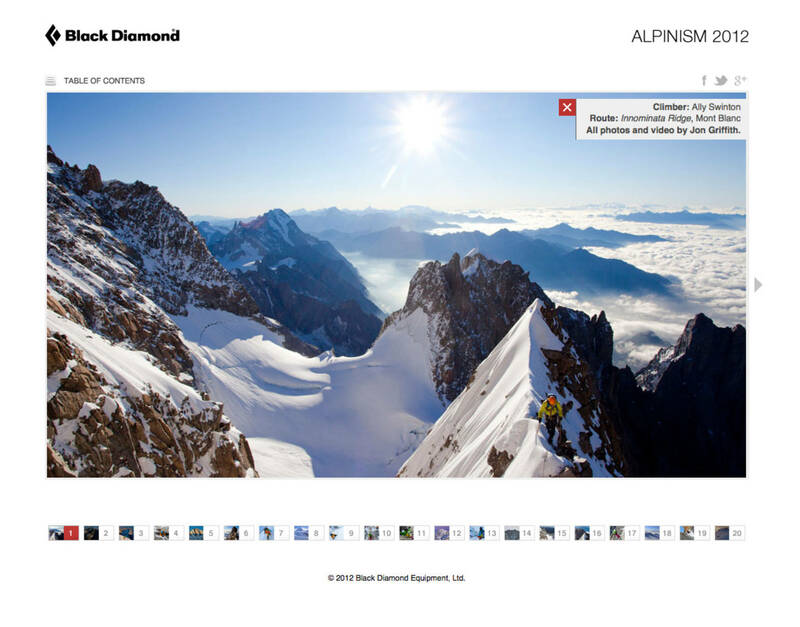 With that in mind, we chose Chamonix alpinism as the theme for this, our first digital catalog. We recruited ace climbing photographer Jon Griffith to document a handful of our alpine athletes tackling the Chamonix classics and testpieces. 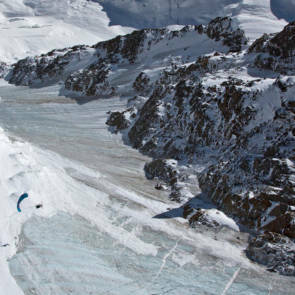 What follows in this digital catalog is an inspirational assortment of imagery, videos, stories and products that showcase but a small slice of all that the Chamonix alpine experience has to offer. Enjoy.